Eric Johnson fans, take note: The latest live CD offering by the guitar maestro entitled Europe Live, is yet another testament to this man’s remarkable talent and breadth of skill. 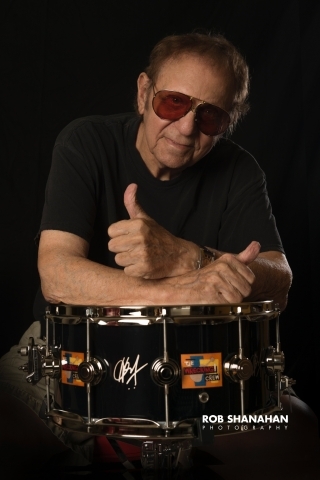 The fourteen tune audio treasure chest are gleaned from Johnson’s entire career as well as includes two new compositions: the short and dynamic “Intro” and Eric’s ode to his love of boating and water skiing, “Evinrude Fever”. Of course, Johnson also includes his Grammy-winning instrumental "Cliffs of Dover" and Grammy nominated "Zap" and are performed with fresh and vigorous energy. 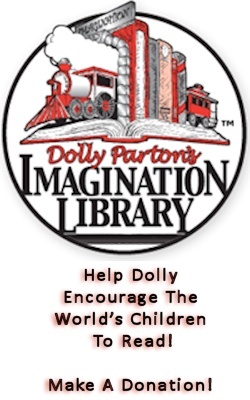 Other familiar tunes are “Austin”, an acoustic version of “A Song For Life” and “Fatdaddy”. Especially noteworthy is Johnson’s treatment of Coltrane’s “Mr. P.C.”, which is THE Boomerocity favorite off this album. Eric also knocks it out of the park with the hard-driving rocker, "Zenland," and the eleven-and-a-half minute multimodal suite "Last House On The Block." Fan favorite, "Manhattan," brings smiles of familiarity from the git-go. The album closes out with a jaw dropping performance of "Sun Reprise" from the "When the Sun Meets the Sky” CD. 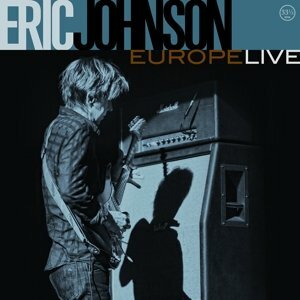 Europe Live was recorded in venues across Europe during Johnson's tour of the continent, with the majority of the album capturing his appearance at Amsterdam's Melkweg. Other performances captured were from two dates in Germany at Die Kantine in Köln and Bochum Zeche as well as from the Paris show at New Morning. Each appearance featured a unique set list, offering Johnson the opportunity to cull this track listing from a wealth of repertoire captured. acclaimed million-plus selling breakout 1990 album Ah Via Musicom and its Top 10 hit "Cliffs of Dover," Johnson first made his musical bones and sparked a potent buzz in live performance from the late 1960s to the mid 1980s long before he ever issued an album and was heard on radio. As guitar legend Johnny Winter recalls of seeing Johnson perform back then, "When I first heard Eric, he was only 16, and I remember wishing that I could have played like that at that age." Over his seven studio albums, Johnson has delivered three Top 10 hits ("Cliffs of Dover," "Trademark" and "Righteous") and two Top 40 singles ("Pavilion" and "High Landrons"). N.A.R.A.S. has celebrated his career with six Grammy nominations, while periodicals in the music space have honored with him for decades. He is enshrined in Guitar Player magazine’s "Gallery of Greats," while Musician Magazine named him one of the 100 Greatest Guitarists of the 20th Century. 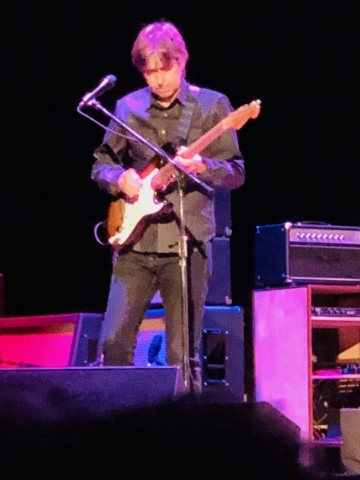 He continues to refine and expand his musical brilliance in his own electric and acoustic tours (playing both guitar and piano), and his recent live collaborations on both electric guitar with jazz player Mike Stern and slide master Sonny Landreth. Johnson is a frequent featured artist on the Experience Hendrix tours, as well as acoustic excursions with the likes of Andy McKee and Peppino D’Agostino. Johnson offers, "Working on this live record was kind of an epiphany for me because I realized that this is where it's at, no matter where you're playing, it should be a performance. The more I do that the more I realize, wow, there's something special there. I'm enjoying playing more now because I am so committed to making sure that facet is really up front, one of the number one things. And I've been doing it in the studio when people send me tracks to play on, and I say, okay, hit record, and let's just do this all the way through. And I listen back and go, wow, that's just more interesting and enjoyable to listen to." 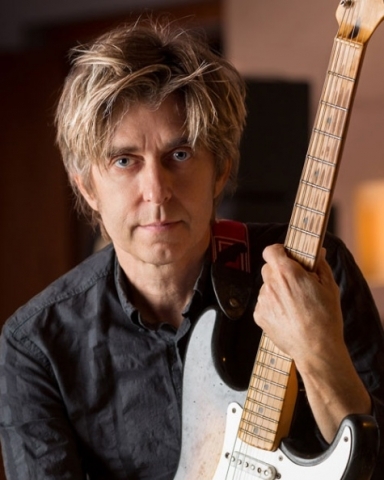 Johnson follows Europe Live with an album with his friend and fellow guitarist Mike Stern and is composing and recording tracks for both a new electric album as well as his first acoustic guitar release. Additionally, Johnson has embraced the digital age, releasing tracks via his site www.ericjohnson.com. Currently, songs that include "To Whom It May Concern," "Imagination Of You - A Tribute To George Harrison" (featuring Christopher Cross) and his rendition of "The Wind Cries Mary" are available. Johnson offers, "The Internet is a creative vehicle to get artist's music heard and level the playing field. There is no barrier between the creative process and those compositions created reaching the fan." Johnson continues to reach further and higher as a player, songwriter and singer, and considers being rated one of the greatest at his talents as simply a springboard to new levels of artistry and listener appeal. Be sure to come back and look for the Boomerocity interview with Eric Johnson!